Access to two stand-alone personal umbrella markets: RLI (preferred) and Anderson & Murison (alternative). Protect from “failure to offer” E&O claims; offer a personal umbrella to every client. In the event of employment litigation, Travelers Wrap+ EPLI insurance provides critical coverage, protecting your company from the potentially catastrophic costs of mounting a defense. Property and casualty insurance for personal motor homes, bus conversions, & travel trailers and campers. A businessowner will need some of the same insurance coverages for the cars, trucks, vans or other vehicles they use in their businesses. A Businessowners Policy (BOP) does not provide any coverage for vehicles, so a separate policy is needed. Most states require liability insurance for bodily injury and property damage that may result from a vehicle accident occurring while the owner or someone from their organization is driving on business. 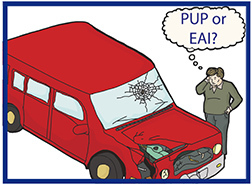 Many states also require uninsured/underinsured motorists coverage and/or medical payments coverage (known as Personal Injury Protection (PIP) in some states). Non-owned Auto Liability will also cover personal vehicles routinely used for business, such as for sales calls, as well as the occasional use such as a trip to an office supply store. Non-owned auto liability is set forth to protect the business when an employee is using their own personal vehicle to go on a work errand and causes a wreck. This coverage does not protect against any damage done to the employee’s vehicle (since this is a liability only coverage), and it does not cover the employee. Rather it protects the business when the business is brought into a lawsuit/named in the lawsuit, due to the employee’s negligence. The insurance purchased on a specific vehicle is always "primary." The policy covering a vehicle pays first before any other policy. If an accident occurs while an employee is operating their car on an errand for the employer, the employee's personal insurance is the primary coverage, and should be looked at to provide protection. The most common exception is "livery" - carrying goods or people for a fee. Most personal auto insurance policies will provide protection for vehicles titled to individuals and used for a business purpose. Routine use should be reported to their insurance company. Whether routine or occasional it is best to put in place a system of controls for employee-owned vehicles. This could include specifics as to who is approved to drive for business purposes, how they will be qualified by the company (e.g., driver license verification, MVR review), and the type of vehicles that can be used. It should establish policies regarding seat-belt usage, as well as distracted driving that can result from cell phones, smart phones, texting, and inputting data in GPS units while driving. 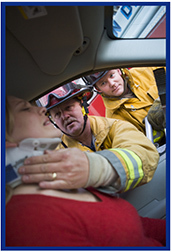 Accident reporting procedures should also be detailed. Chubb has a flyer covering this in more detail. Chubb's business owner's policy (Chubb BOP) is designed specifically for small businesses. With broad protection for property and liability exposures, Chubb BOP serves as the foundation for your clients' insurance portfolio. Chubb BOP helps protect small businessowners with up to $30M in revenue, in more than 500 business classes. Check out the full list of eligible businesses. If you have any questions about Chubb or the Small Commercial product, please contact Big "I" Markets Commercial Underwriter Tom Spires at tom.spires@iiaba.net or Claire McCormack at claire.mccormack@iiaba.net. Bob is driving his own car to the office supply store. He is doing an errand for his employer, Acme Anvil Co. He has a personal auto policy with $300,000 of liability coverage, collision, and a Personal Umbrella [PUP] of $1,000,000. Acme has a Business Auto Policy [BAP] with hired and non-owned auto coverage at a limit of $1,000,000. Acme's insurance includes "Employees as Additional Insured" [EAI]. Bob causes an accident that results in damage to his car and $10,000 damage to a stopped vehicle. There are three passengers in the car who all claim injuries of various severity. They sue Bob and Acme. The court awards the injured passengers $500,000 from Bob and $750,000 from Acme. Bob's auto insurance pays for the damage to his car (less deductible), his legal expenses and up to $290,000 of the judgment (his $300,000 limit of liability less the $10,000 paid for the damage to the other vehicle.) Acme's insurance pays for their legal fees and the $750,000 award, leaving just the judgement against Bob in excess ($210,000) of his PAP coverage. With regard to the judgment against Bob in excess of his PAP: Which do you think would kick in first, Bob's PUP or Acme's EAI? Why? Submit your response to michael.welch@iiaba.net. One answer will be chosen at random to receive a $10 gift card. Winner to be announced next week along with the Ask an Expert responses from Virtual University.! Photography equipment is expensive, ask any photographer. Photographers' Business Personal Property values may be in excess of $20,000. If a loss happens, how difficult would it be to replace that property without any interruption in business operations? A Home Business Insurance policy from RLI will lessen the stress when the unexpected happens. Consider the following real-life claim scenarios and the benefits of insuring photographers with a Home Business Insurance policy. Incident: Insured was taking pictures of the sunset one fall evening. Holding the camera strap in their hand, they walked down the concrete path to get a better angle. The strap of the camera broke causing the camera to drop to the ground, shattering the lens in many pieces. 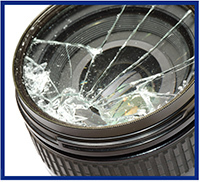 Outcome: RLI paid the $1300 repair cost and the insured had their camera repaired in less than one week. Incident: Insured was on their way to capture the images for their client's wedding, needing to stop at the local convenience store on their way. In just ten minutes, their car was broken into and their bag of camera equipment was gone. Outcome: RLI paid the $12,000 limit to replace the insured's inventory, as well as covering the Extra Expense of $2300.00 the insured incurred for renting similar equipment allowing them to fulfil their business commitment to their client. Incident: A fire broke out destroying the insured's home and all of the property inside the home. The insured was not able to salvage anything, suffering a total loss to both their personal and business property. Outcome: RLI paid the $55,000 policy limit to replace all of the insured's inventory, as well as covering the Business Income loss of $25,000 the insured sustained until they were able to get their business up and running again. Business Personal Property coverage is just one of many valuable coverages photographers should not go without. RLI's Home Business Insurance policy provides this important coverage along with Business Income, Extra Expense and Business Liability coverage. Help your photographers make wise decisions when purchasing coverage for their business operations. Coverage includes up to $1 million in business liability protection, up to $100,000 comprehensive coverage for business personal property, $5,000 per person for medical payments to customers injured on-premises and coverage for loss of income. For more information on RLI's Home Business Insurance policy, or to contact your state's administrator, visit www.iiaba.net/homebusiness. WEBINARS - Two-hours with CE in select states. View the complete calendar, registration links and see what states have CE approval online. Registration includes live webinar, on-demand recording and a transcript. May 1 - 11:30 a.m. ET - How Much Time Do You Actually Spend Adding New Business? May 16 - 11:30 a.m. ET - How Much NEW Business Must You Place to Make Goal? May 22 -11:30 a.m. ET - How Do You Get to the TOP of the Underwriting Pile? Register once for the monthly Lightning Learning package and receive all sessions for one low price. Registration includes live presentations and on-demand recordings. VU Webinar and Lightning Learning questions can be sent to VU staff. The 2019 calendar and all links are available here. Congratulations to this week's winners - Julie Singley (AL), Ed James (FL), Megan Yochum (OK), Lana Campbell (NM) & Brenda Costa (NC). Congratulations to our agent in North Carolina on a Bonds - Bid, Contractor, Performance, Surety sale of $13,457 in premium! Two for Tuesday is a weekly newsletter designed to provide you with information concerning commercial products and services available to you through Big "I" Markets. (Product availability varies by state.) IIABA, your professional association, along with its subsidiaries, including Big "I" Advantage, Inc., works hard to bring information to you about valuable products and services that could enhance your ability to succeed in the industry's competitive environment.